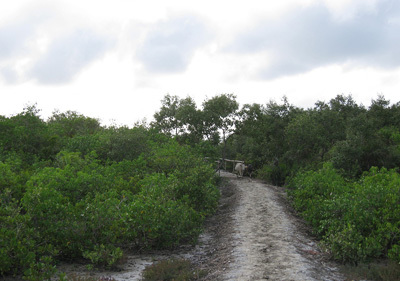 Places to see at Henry Island: The main attraction of Henry Island is the beach adjacent to the Sunderbans. Besides, there is a watchtower where you can climb and get the complete view of the island. Then there are the Bheris – large shallow lakes, nearly 30 of them scattered throughout the island dedicated to pisiculture. How to reach Henry’s Island: You have to turn left from Jelighat stop which is some 4 kilometers before Bakkhali. 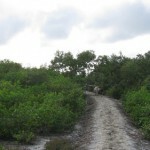 On driving some 1.5 kilometers, you will come across the lodges one by one. Best time to visit Henry Island: Throughout the year. Lodging & Dining facilities at Henry Island: There is a tourist lodge available. You can dine at any of the restaurants in Bakkhali or avail the dining facilities at the lodge in Henry’s Island. Photographs by Anindya, Arpan Chowdhury. great information on henry’s island. i went to this place last year. anyone who wants to visit henry’s island must book the cottages and not the tower. As people keep moving up and down the tower to have a view of the surrounding, privacy is interrupted. remember to view fishing catching at the bheries every morning.